TOKYO — Japan’s Cabinet on Tuesday approved a plan to purchase a set of costly land-based U.S. missile combat systems to increase the country’s defense capabilities amid escalating threats from North Korea. “North Korea’s nuclear and missile development has become a greater and more imminent threat for Japan’s national security, and we need to drastically improve our ballistic missile defense capability to protect Japan continuously and sustainably,” a statement issued by the Cabinet said. Defense officials say two Aegis Ashore units can cover Japan entirely by using advanced missile interceptors such as the SM-3 Block IIA, which was jointly developed by Japan and the U.S. and would cost about 200 billion yen (U.S. $1.8 billion), though they have not released exact figures. Abe has said he fully backs U.S. President Donald Trump’s policy of keeping all options on the table, including possible military actions, against North Korea. Abe has vowed to bolster Japan’s security cooperation and increase the use of advanced U.S. missile defense equipment. Defense officials declined to give details about potential sites for Aegis Ashore deployment, while Japanese reports cited Self-Defense Force bases in Akita, northern Japan, and Yamaguchi, in southwestern Japan. 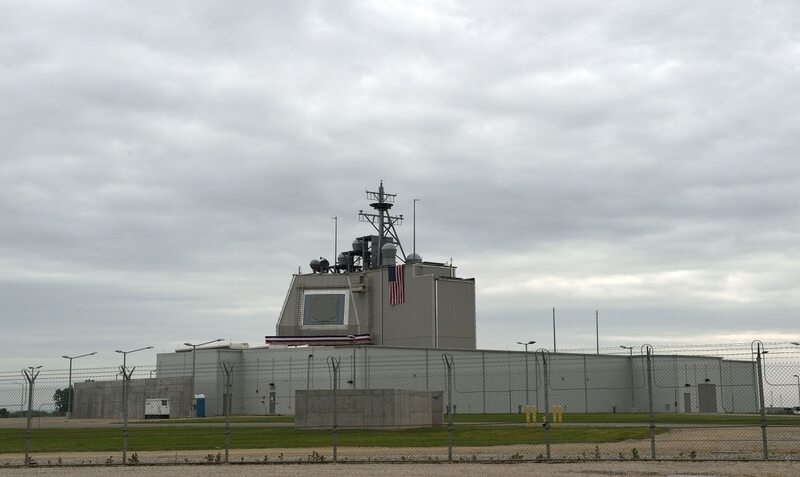 Defense officials said they chose Aegis Ashore over an option of the Terminal High Altitude Area Defense, or THAAD, because of its cheaper cost and versatility. Typically, a THAAD setup comes with 48 missiles and nine mobile launch pads, priced about $1.1 billion, and Japan would need at least six of those to defend the country, officials said. The deployment of THAAD in South Korea triggered protests from China, as Beijing considers it a security threat. The fastest and most immediate way to provide for the defense of Hawaii is to operationalize the Aegis Ashore site located at Pacific Missile Range Facility on Kauai. Aegis Ashore can be compatible with the ship-based Aegis systems that are on four Japanese destroyers and also could work with SM-6 interceptors capable of shooting down cruise missiles, defense officials said. Japan plans to add four more Aegis-equipped destroyers in the coming years. The U.S. has installed the land-fixed Aegis in Romania and Poland, and Japan will be a third to host the system.